This monstrous dry pack holds a serious load! This is ideal for a small family or group. It has a roll-top closure, secured with buckles and straps. 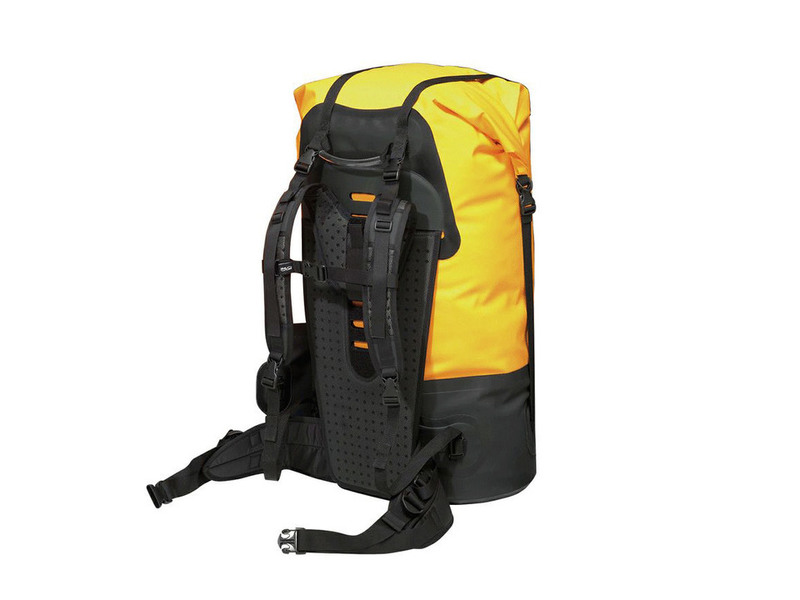 This waterproof dry bag comes equipped with backpack style shoulder straps and a waist belt to aid in portaging. We use it to pack the tent, sleeping bags, our clothing and toiletries. We'll also try to stuff a dog bed, or two in there as well. Sharp and metallic items, such as kitchen utensils do best in the 70L Canvas Canoe Pack.